Goodbye Summer Hello Fall… even though Fall officially starts this month, we are still soaking up vibrant greenery in our Glam Garden themed September 2017 window display created by Carla Anglada, Chief Designer of Danielle Roe Events. It’s gorgeous inspiration for our Spring/Summer 2018 brides too! When it comes to our window displays, we always want decor that is unique, ahead-of-the-“ahem”-curve and fresh. Well, we think Carla, Danielle and her team kicked it up a notch! The combination of natural elements, drapery sheers, copper accent pieces and soft colored glassware all blend into a fantastical sight. To capture it all, we teamed up with Morgan Alanna of Morgan Alanna Photography to capture the behind-the-sparkle moments of how the display was produced. Meet our decor partners and learn more about their passion for weddings and what inspires them. Danielle Roe Events will be celebrating 2 years in business the end of this year. Danielle got her start working in the corporate world in the Public Relations field, planning corporate events and parties for clients and representing them to the media. When it comes to couples and clients she works with she enjoys seeing their connection with each other and to work with couples who are truly in love- it makes the day that much more special! While she has done some pretty incredible events, including associate producing a handful of national events for the Tony-Award winning play, Hamilton, her favorite moment has been thanks to one of her awesome grooms. It was a wedding that DRE did in Napa this year, the groom was just in awe of the whole day and teared up every time he saw his new wife or spoke about her. So incredibly sweet! Watching Carla’s vision formulate step-by-step was like seeing an artist’s painting come to life. As the Chief Designer of our September 2017 window, Carla brainstormed ideas and upon finalizing the concept, she took the idea and ran with it. 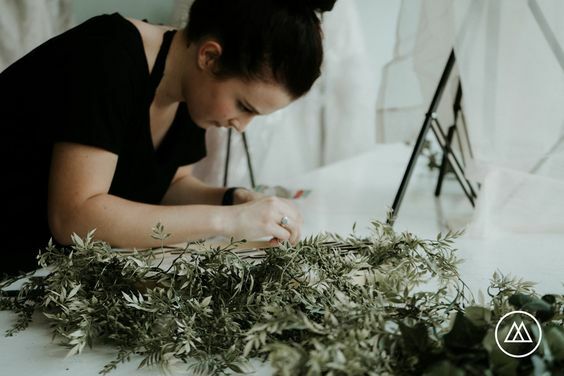 Coordinating with other creatives and the SPARKLE team, she brought together all elements of the Glam Garden using wooden halo cutouts delicately wrapped in fresh greenery, soft airy sheers draped over a backdrop to a sweet tablescape. As Chief Designer, Carla works with clients to bring together their ideas and execute them to perfection. find someone that fits with your personality. While we all have packages that we offer, chat with your potential planner and make sure that they really understand what your working style and communication needs are. Your planner should always be willing to be flexible, within reason, to your needs and accommodate your production needs. 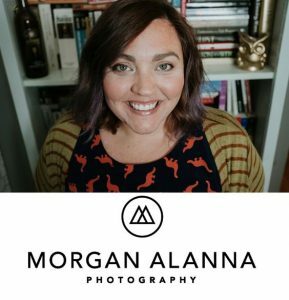 Morgan has been a wedding photographer for two years. She’s always enjoyed photography as a hobby, but after being laid off from a corporate job, she decided to dive fully and whole-hardheartedly into her creative side. And photography has been it for her ever since. Despite she being new to her profession, she was recognized for her talent by having two photos featured on the official Sony Camera website. When she’s not photographing you will find Morgan painting, reading or listening to her current favorite tune called, “Give Me the Simple Life,” by Steve Tyrell. She absolutely loves the positivity and happiness she gets to experience when shooting a wedding. She admits, it’s a high stress job, but she states that the stress forces her to dig deep into both her creativity and perfectionism as a photographer! And for her, that makes each wedding a unique and beautiful experience. Interview them, and don’t be afraid to shop around! Your style should be highlighted by the photography! If your photographer has a super bright “catalog-look,” but you are a more Boho-hippie kinda gal, then you will probably hate the photos! No matter how talented the photographer is!